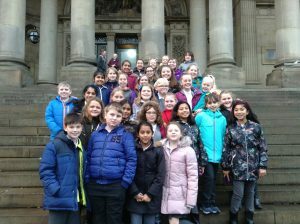 Show Time club had a fantastic first outing to “War Horse: The Story in Concert” at Leeds Town Hall. 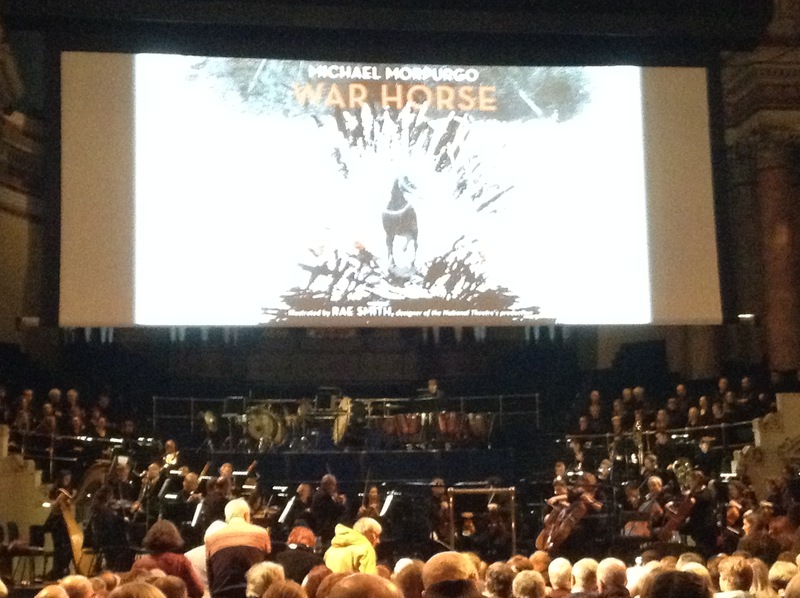 Read by Michael Morpurgo himself, the story was told by a combination of narrators, an orchestra, a vocal soloist, a choir and illustrations drawn in front of us on a huge screen. The children (and adults) were captivated by the powerful words, intense music and incredibly impressive drawings. I think we’ll all be trying to sketch some horses this week! 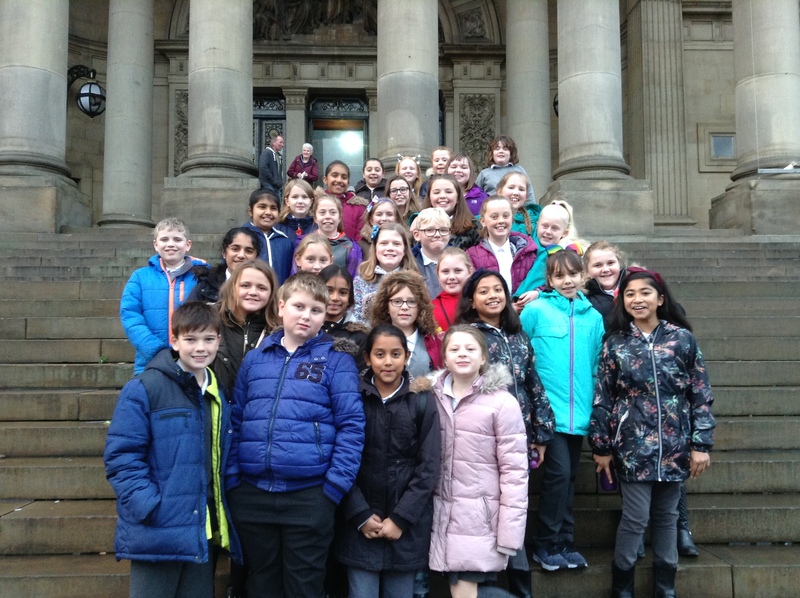 The Year 6 children, having just studied poetry of the First World War in Literacy and the beginnings of the war in History, could make many links to what they have been learning at school. 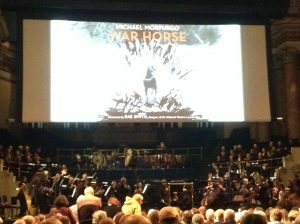 They will start the book “War Horse” this week so they will be able to picture every scene! The Year 5 children will be so well-prepared for next year! 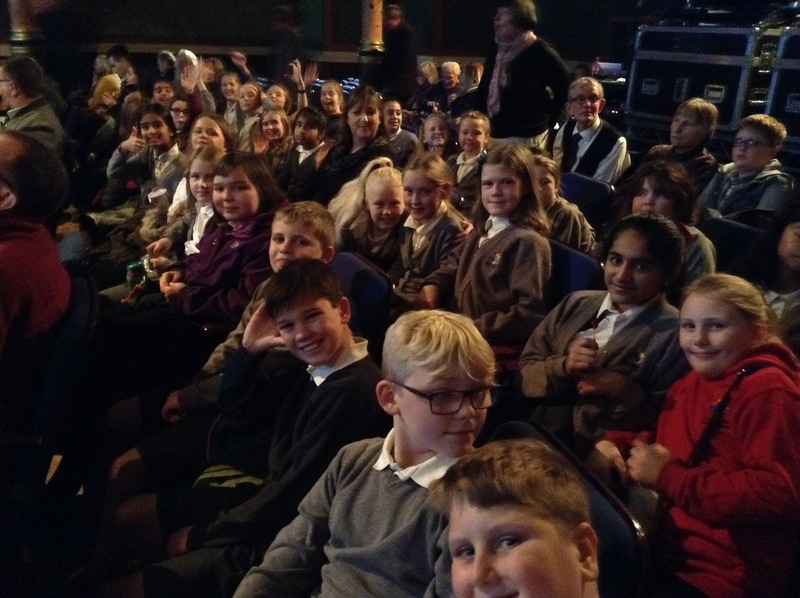 The children were very well-behaved and a credit to their school and families. Many members of the public and Town Hall staff commented about how well-mannered and focused they were. We spoke to a number of people about the Showtime Club and they all said how lucky the children were to be given such an opportunity. 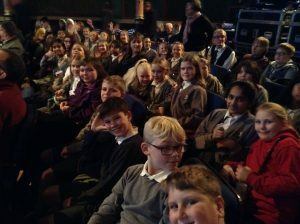 Other children in the audience couldn’t believe they were on a school trip on a Sunday! 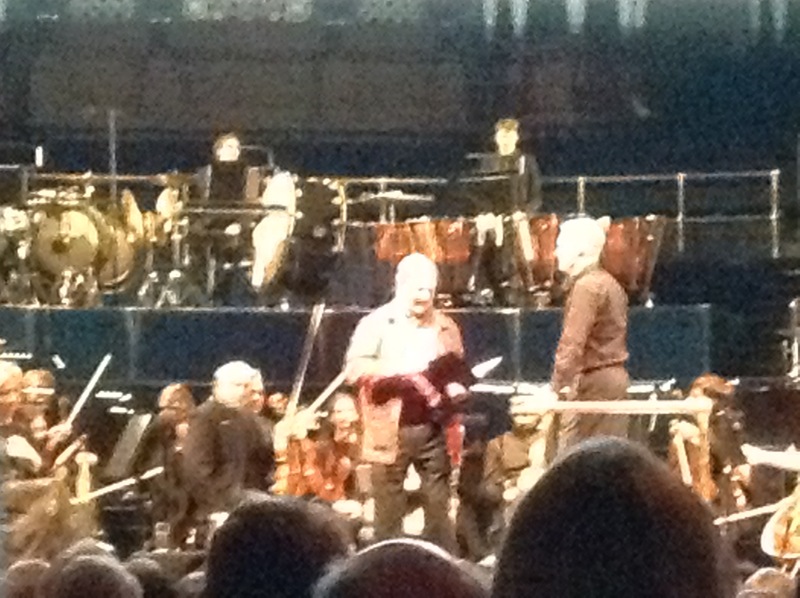 For many of us, seeing and listening to Michael Morpurgo was amazing. Some of the Year 6 children hoped they would run into him after the show so they could ask him about his books. They still want to know if “Kensuke’s Kingdom” is a true story since the main character is also called Michael. I think we’ll be writing some letters and tweets to him this week to thank him for such a wonderful show! Sally had a great time, thank you so much for this fantastic opportunity. The whole experience tonight was much better than I thought. Thanks for taking me. 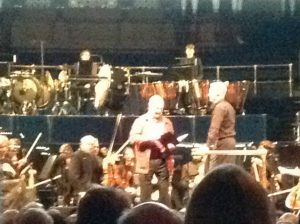 Keiva had a wonderful evening-thank you so much to the staff & Peter for giving her this opportunity! She thoroughly enjoyed it & is looking forward to the next one in December. We are all feeling very grateful to be part of a great school! Feeling rather jealous of the next few shows- can we come too please?! Sounds like it was a fantastic evening. Thanks for organising. Thank you was a great success what a great idea here to the next !